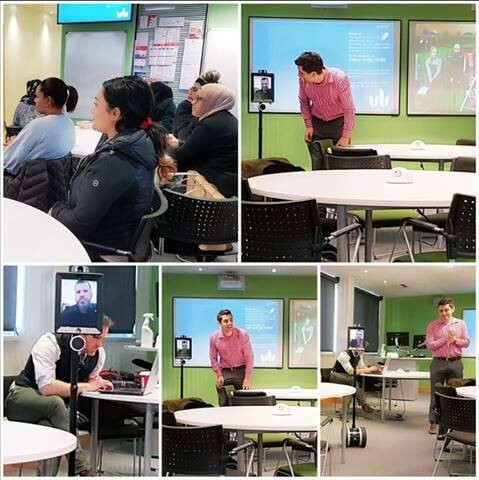 Our collaboration partner from Coventry, prof Alan East, recently visited the University of Bedfordshire to showcase our pioneering work in legal education, using their double robots. The Clinic’s Stephan van der Merwe joined the meeting via the robot all the way from Stellenbosch, demonstrating their impact to captivated students and staff. Stephan explained how the robots are used to facilitate student interaction in the Online International Learning project offered to students participating in the Practical Legal Training 471 module presented at the Clinic.